Not one to rest on his laurels, hitmaker YEON Sang-ho is getting right back to work even as his latest film TRAIN TO BUSAN continues to burn a trail at the global box office. 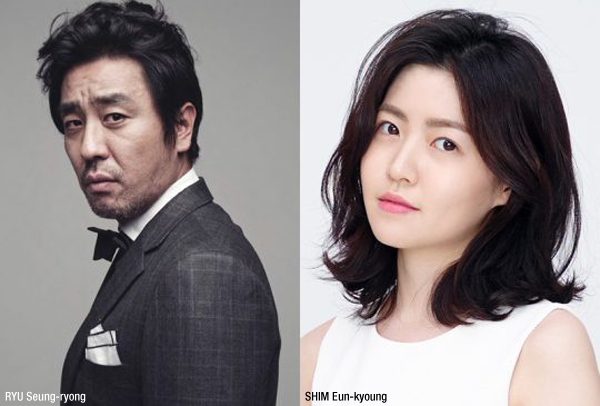 For his new work, he will team up with actors RYU Seung-ryong and SHIM Eun-kyoung for Psychokinesis (translated title), a supernatural thriller expected to go into production in early 2017. RYU plays a man who develops the power to move objects with his mind. Seeing the power as a great responsibility, he tries to use it for good and subsequently must save his daughter from a situation that she becomes embroiled in. Though he hasn’t been seen on screen since last year’s period drama THE SOUND OF A FLOWER, RYU is currently in theatres as part of the voice cast of Seoul Station and will soon be seen in upcoming thrillers Night of 7 Years and Fifth Column. SHIM, who rose to popularity through Sunny (2011) and Miss Granny (2014), appeared in the thriller Missing You this year and has three projects in post-production and is currently filming Special Citizen with CHOI Min-shik. Already a major arthouse name with the acclaimed indie animations The King of Pigs (2011) and The Fake (2013), YEON became a blockbuster filmmaker this year with zombie thriller TRAIN TO BUSAN, which crossed 11 million admissions at the Korean box office. RYU and SHIM previously acted alongside as father and daughter in the voice cast of YEON’s Seoul Station.